VP of HP Servers reads customer criticism "with interest"
HP has released more information about firmware availability for its customers. 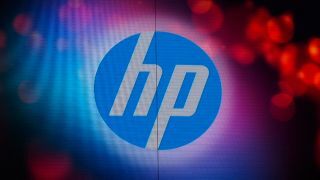 The firm announced last week that from February 19 it would, "provide firmware updates through the HP Support Center only to customers with a valid warranty, Care Pack Service or support agreement." Following the announcement on HP's blog, a number of customers responded, many unfavourably, with questions and concerns about the move. Mary McCoy HP's vice president for servers and support has addressed some in another blog post on the company' website. "As is commonplace in the industry, our products include a warranty that customers pay for as part of the product," said McCoy. "The warranty is our promise to correct issues for some period of time, including those that can be addressed with new firmware. Enabling this promise includes ongoing investments in HP intellectual property, including firmware updates." McCoy explained: "It is through the sales of warranty in the product, and sales of support services after the warranty, that we are able to invest to create great customer experiences with our products. Naturally we don't ask customers to buy support as that is their choice." The article also clarified that the changes made from February 19 that it will apply to HP ProLiant servers only and that security and safety updates will continue to be provided for all server users.